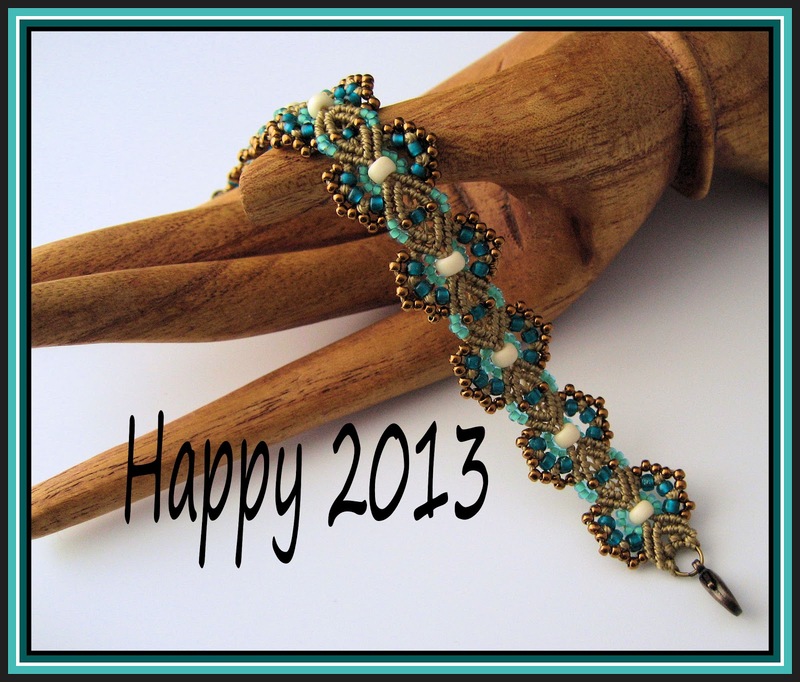 May 2013 bring all good things! I've been conducting my own little experiment this week. Same bracelet pattern, same beads and bead placement. Different colors of cord. I'm amazed at how different each one looks and how the colors of the beads themselves even seem to change. A friend had this beautiful fire agate he wanted me to make into a pendant for his wife. Just look at the color in that stone! My palette is made up of Czech and Japanese seed beads in different shapes and sizes and colors ranging from amber to deep chocolate brown and lots of interesting copper bits . This is how it turned out. I love the way the beads bring out the color in the stone. I didn't want to detract from the stone, so I kept my design pretty simple. I thought about doing a viking knit chain to hang this piece on, but my friend wanted simple, so I used a simple copper chain. He really likes it - now we just have to hope his wife does!! Darcy from The Jade Dog had a Fall Challenge and of course I'm always up for a challenge! I purchased the kit shown above, with one of Darcy's handmade polymer clay cabochons and an assortment of beads. 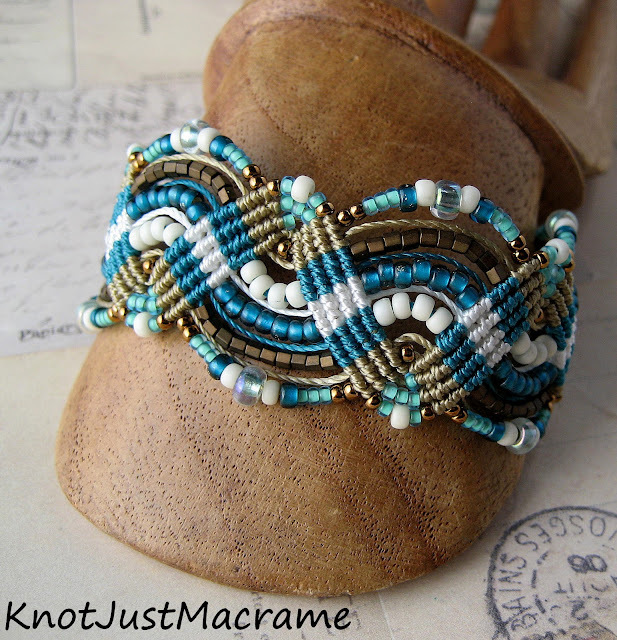 The rules were simple - make something beaded using at least one of each of the bead types and the focal. My first thought was to do a bead embroidery piece; if you aren't familiar with Darcy's work, she does some amazing bead embroidery. Now I may always be up for a challenge, but I'm not silly enough to put myself up for that sort of comparison, so my mission was to find another way to set the cab. Uh huh. The first thing I attempted was a brass prong setting. I cut the brass shape, textured it, drilled the holes for the prongs, attached them by soldering and then added a patina to the piece using liver of sulfur. That's when I remembered to snap a photo. And this step is as smelly as it is nasty looking. Only to discover that I hated it even worse than the brass one. So I spent another 30 minutes looking for inspiration and over an hour trying to make a wire bezel that I hated even worse than the macrame bezel that I hate worse than the brass one. At this point I figured I'd go with the one I hated the least and try to make it work. It was either that or still be working on this project into next year. So I took the first brass piece that I'd cut down and I beat on it some more and added some gilder's paste and then drilled some holes and attached a couple of the Czech flowers and a leaf with some wire. Hmm... either that was a big improvement, or I'd lowered my standards. Either way, that's what I went with. I hung my pendant on a chain dotted with random beads and added a couple more dangles for movement. I even added a pretty floral clasp. Darcy is going to put photos of all the entries on The Jade Dog facebook page, if you'd like to take a peek at what other folks did.